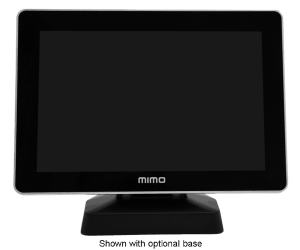 For the widest possible viewing angle and a beautifully crisp display rivalling those of more expensive competitor models, look no further than the Mimo UM-1080-OF. This sleek, lightweight (only 2 pounds!) and affordable 10.1-inch open frame display is designed for maximum performance and minimal expense to our valued customers. It has been specially engineered to be easily installed in pre-existing enclosures and tight spaces, which is made possible by its slim and streamlined form. Additionally, it is produced in an open-framed, durable, rugged and thoroughly molded metal enclosure to protect it without being intrusive to existing working environments. This means that any replacements can be carried out without any external housing changes. Additionally, it supports rear 4-point mounting right out of the box. Regardless of whether you seek a powerful and intuitive device for hospitality, corporate, or entertainment purposes, you can’t do wrong with one that respects the environment around it. Our high-performance UM-1080-OF monitors make use of meticulously optimized DisplayLink single cable USB-based power systems, meaning that a single cable can literally power the entire device as a means of reducing clutter and port wastage. 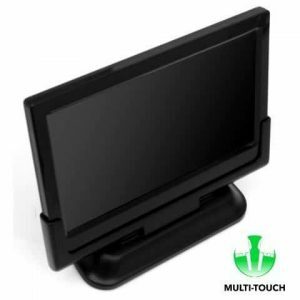 The screen is designed for supporting portrait or landscape orientations to suit your needs as a user. 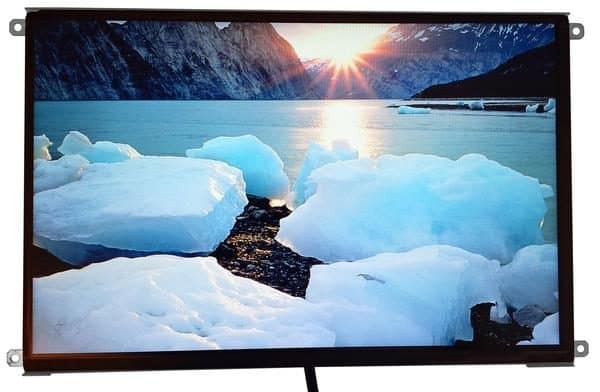 The biggest allure of the UM-1080-OF, however, is its incredible 180-degree viewing angle — the widest in our line of displays. DisplayLink technology delivers video and power over a single USB connection. 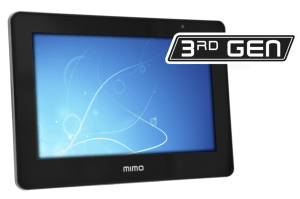 As with all our monitors, the Mimo UM-1080-OF is compatible with Windows 7 and higher, Linux, and even Mac OS (Intel systems only for touch support, which require this driver). It is now also compatible with Chrome. Our USB Extender can help you create a clutter-free working environment without sacrificing device accessibility or sufficient power. This is because it cleverly utilizes power over twisted pair functionality to reduce the number of wires needed to keep your devices in operating order. Now, you can count on a reliable operating environment regardless of how far away you are from a power socket.